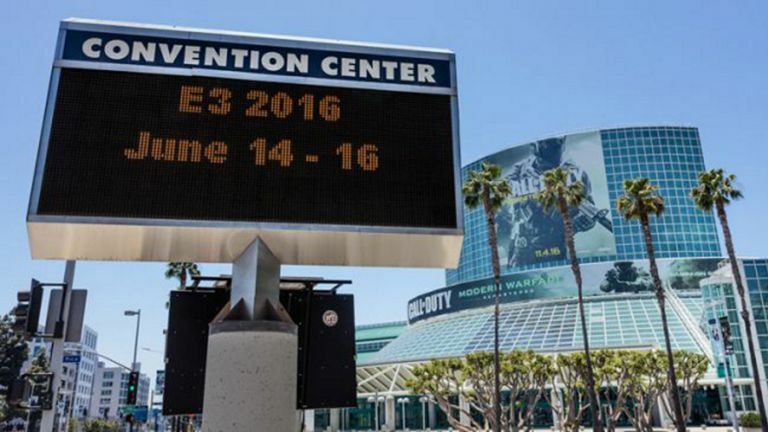 The 2016 Electronic Entertainment Expo (E3) event has just drawn to a close in Los Angeles and we've heard a ton of new announcements from some of the biggest (and not so big) names in video gaming. If you missed the highlights, we've got them all collected here. It's been a busy show this year, even more so than normal: From huge open-world games breaking new ground for established franchises to a ton of experiments in VR (for both games and gaming hardware), there's a lot to take in. Here's what caught our eye. Microsoft treated us to a look at the slimmer, fresher-looking Xbox One S at E3 - the cut-down console carries all the power of the original in 60 percent of the size, plus adds 4K Ultra HD video support. It's available in August with prices starting at $299. Then there's Project Scorpio, the Xbox Two or the 2017 Xbox or whatever you want to call it. Due next year, the next-gen console will bring with it 4K support , VR capabilities, and backwards compatibility with older games. We don't yet have a release date or price. It's been slim pickings recently for gaming fans who are also into their Spider-Man stories but that could change in the near future - Insomniac Games announced that it's working on an in-development Spider-Man title that will be an exclusive on the PlayStation 4. Now it's important not to get too excited over one trailer (a mistake we've made in the past) but it does look a gorgeous game that gets the graphics and the tone just right. According to Sony, this is a "brand-new, authentic" Spider-Man story as well. Bethesda announced that it's been busy working on virtual reality HTC Vive experiences for both Fallout 4 and Doom, and attendees at E3 were treated to brief demos of where the technology's at right now - and in general, the feedback seems to be that it's a mixed bag. In Fallout, for example, you can walk around your Vive-enabled room (if you've got the space) or 'teleport' to different locations by pointing at them. Game developers still haven't quite figured out how we're going to 'move' without physically moving in VR. Mark February 2017 in your calendars now because there's a pile of top-quality (we hope) games heading your way in that particular month - there's Rare's open-ocean pirate epic Sea of Thieves, for starters, which had one of the most well-received trailers of E3 2016. If pirates don't particularly push your buttons then there's the medieval-themed melee game For Honor (where you can play as a viking, a samurai or a knight) and if you still want more then Halo Wars 2 officially launches during the same month. We can't wait. One of the problems with current-gen top-end virtual reality (see the Oculus Rift and the HTC Vive) is that you need to be cabled up to a gaming PC in order to power the magic. This will change eventually, but right now it's very much a tethered experience. MSI and HP have already shown off gaming PCs you can wear on your back (freeing you up to move anywhere you like with your VR headset on) and at E3 we spied something similar from Alienware, though there was no official announcement. Stay tuned on this one. Nintendo needs a hit, any kind of hit, and The Legend of Zelda: Breath of the Wild could be just that. Even in an event chock-full of demos and trailers, this one stood out - the game is coming to the Wii U and the Nintendo NX (ETA March 2017) at some point next year. Almost everything Nintendo did at E3 was focused on Zelda and the sense of anticipation around this game is growing all the time. What adds to the excitement is the way Breath of the Wild modernises the Zelda format, with a massive open-world for players to explore. Steep was one of the most impressive demos presented by Ubisoft this week and looks the ideal game to hunker down with during the cold dark nights of winter 2016. Snow and ice on screen is much less chilling to the bone (and falling over hurts much less as well). The open-world game even has a special 'GoPro mode' for getting a unique take on the action. If you've always wanted to upload one of those amazing extreme winter sports YouTube clips but lacked the bravery or the money to record one, now's your chance. Sony has made a habit of shining brightest during E3 and the company now has the trick down to a fine art - once again its part of E3 was a tightly orchestrated and very impressive bit of showmanship, even if genuinely new material was a bit thin on the ground. We're still waiting to hear more on the PS4 Neo but Resident Evil 7 for PlayStation VR, The Last Guardian (again), Detroit Become Human, Death Stranding and Days Gone all wowed the crowds. It even looks like Infinite War will breathe new life into the Call of Duty series. We saw a lot of great games this week - from Battlefield 1 to God of War - and there really does seem to be something for everyone hitting the Xbox One and/or the PS4 in the coming months. In particular, Star Trek and Star Wars fans have good reason to be excited. We got confirmation that Star Wars Battlefront 2 is on the way, there's an all-original Star Wars tale in development from Visceral Games in 2018, and a PlayStation VR title is coming too. Star Trek is appearing on VR as well in the form of Star Trek: Bridge Crew.